Climate change is now firmly at the top of the agenda, especially in China. The world’s largest polluter wants to become an example of a less carbon-intensive economy, one which embraces renewable energy, makes the transition away from coal and has the capacity to capture carbon instead of emit it. But can China ‘decarbonise’ its economy, and what does cutting carbon domestically mean for the rest of the world? According to the 2001 winner of the Nobel Prize for Economics, Joseph Stiglitz, there is a certain dilemma regarding China’s role in moving towards a low-carbon economy, especially given its deeper engagement with Latin America, the new frontier for the reproduction of Chinese capital. Latin America will be the target of massive investments, to the tune of US$250 billion (1.55 trillion yuan) over the next decade, Chinese President Xi Jinping promised in January. “I see that the Chinese Government is very committed to climate change at the national level. But they are also committed to development. This is one of the tensions. China has worked to reduce emissions within the country with some success, but just increasing the GDP causes more emissions,” said Stiglitz at a scientific conference on climate change in Paris earlier this month. Two thousand researchers attended the conference held at UNESCO’s headquarters entitled Our Common Future Under Climate Change, and were keen to report their findings in advance of the United Nations Conference on Climate Change (COP21), which will be held in Paris at the end of the year. Besides being the world’s leading carbon emitter, China is also responsible for major emissions outside its own borders, many of which result from infrastructure projects in Latin America. 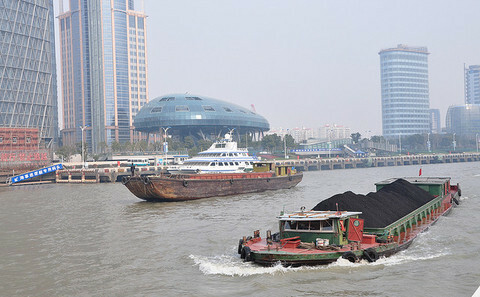 China has primarily invested in carbon-heavy industries in the region including mining and oil extraction and has funded the construction of highways, railroads and even an inter-oceanic canal. Stiglitz argued that emissions generated within a country should not constitute the total for which it is responsible and that those created by overseas invesments should also count. “We need to take responsibility and create a climate policy that focuses not just on which countries pollute more, but also the pollutants related to the products they consume,” Stiglitz said. And China needs to lead by example, Stiglitz added. Furthermore, calculating emissions from consumption would be easier if there were a global price for carbon. But for as long as trade and investment agreements do not contain environmental clauses, this is problematic. The economist added that the higher profile of ecological problems in China could translate into how the country invests abroad. Finance from new multilateral financial insitutions such as the New Development Bank (otherwise known as the BRICS bank) and the Asian Infrastructure and Investment Bank (AIIB) should be conditional on providing environmental safeguards, said ecologist Yonglong Lu, who is one of the directors of the Center for Research in Environmental Sciences at the Chinese Academy of Sciences. Stiglitz said it is imperative that these banks factor-in climate change as the central lending criterion when deciding whether to finance major projects in Latin America. “The Green Climate Fund is important because commitments have been made, and we cannot run away from them. But I think that climate change concerns should be a condition for banks financing projects. This would be a good example compared to what is usually imposed, such as what happened during the Washington Consensus, or austerity, which we know was disastrous,” said the American economist. But constrained by limited domestic resources and the environmental costs of using them, China’s development needs investment outlets outside the country, contends Lu. Faced with slower growth at home and with the support of its policy banks, China’s industries are moving production lines overseas, enabling host countries to scale up their industry and infrastructure. Many of these exports will flow back to China, the majority of which are highly energy-intensive. So while China has ambitions to lower the carbon intensity of its national economy, it is adding to the emissions of the countries in which it operates and invests. For emerging economies such as China and Brazil, climate change is only one of the issues related to development, as creating new jobs is viewed as essential for economic growth and social stability. But in practice, many of the jobs created by Chinese overseas investments go to expatriated Chinese workers, causing friction with local labour and raising questions about who really benefits from this development model. does this mean multinational corporations in the electricity industry and auto industry would take all 30-year CO2 emission in China back to their home countries? Both industries built and expanded very much on FDI from MNCs from developed countries. Fabíola Ortiz is a Brazilian journalist and reports from Rio de Janeiro, Brazil, about human rights, politics, international affairs, environment, sustainable development gender and social issues.